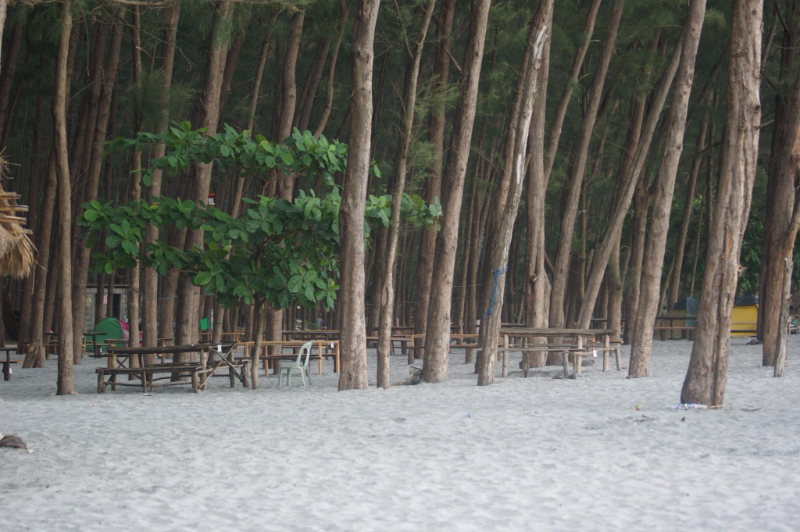 The Forest Cove of Anawangin – . 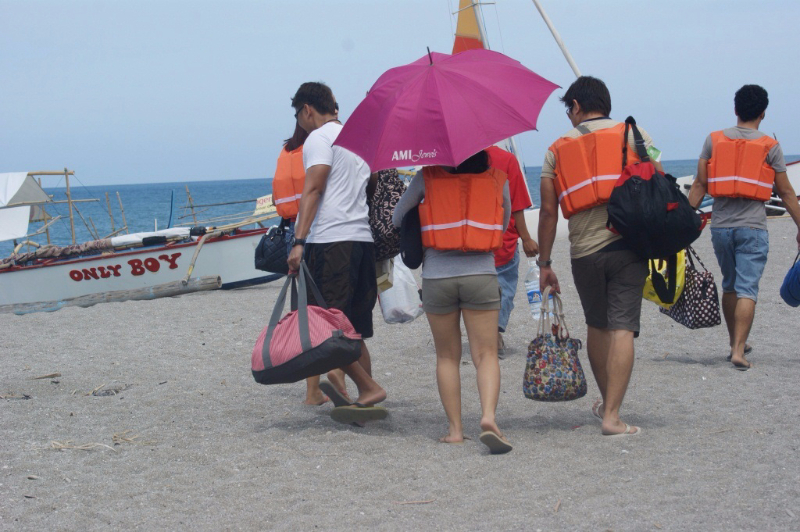 4 hours away from Manila, San Antonio, Zambales is your key to reaching this hidden island. 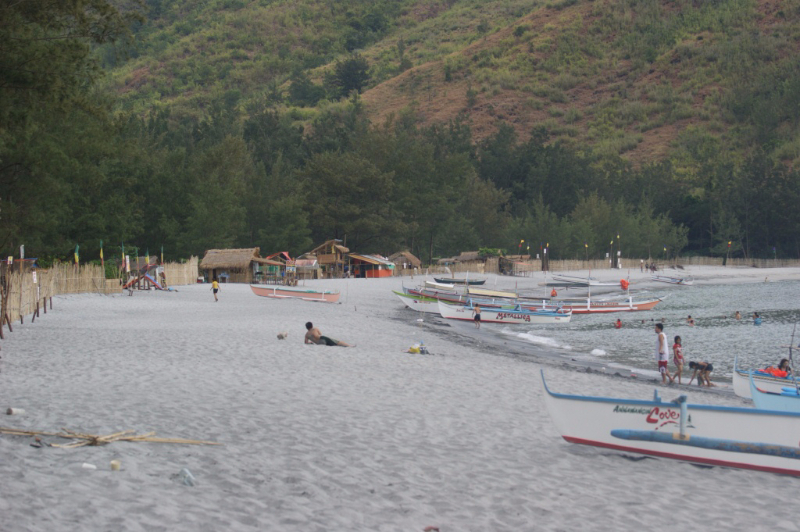 45-min boat ride from this town and you will reach Anawangin Cove, beautifully flourishing with towering pine trees. Awesome view by the bay, on the way to the island, and until you reach Anawangin. Locals there who have stores and takes care of the island are accommodating and usually offers help or assistance. 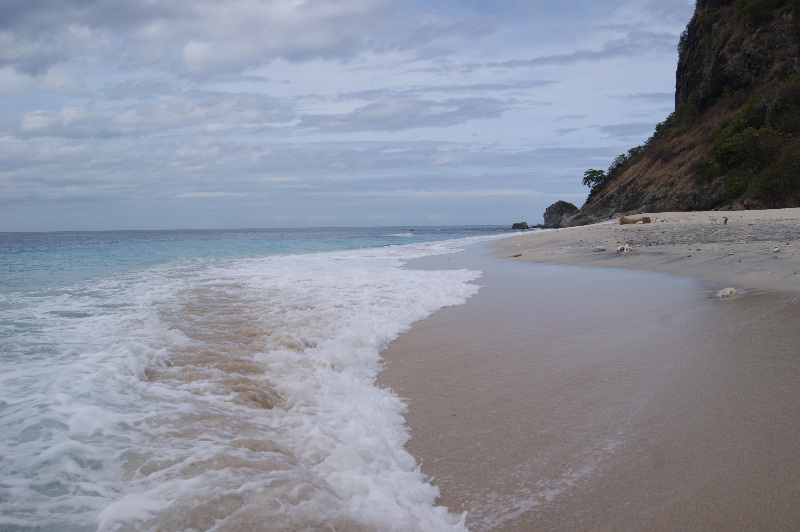 Anawangin has soft, white sand that has a mixture of volcanic ashes from Mt. Pinatubo’s eruption. 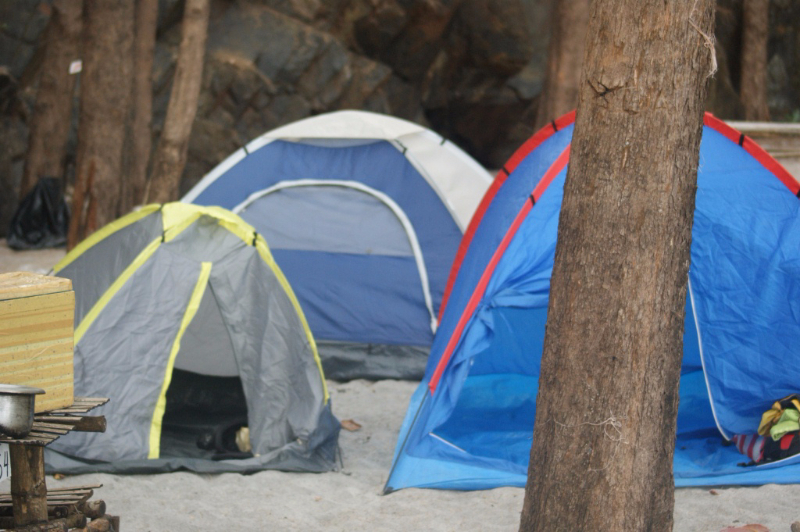 Do not forget to bring your tents as there are no hotels here. Water and food are your best friends, plus insect repellent and flashlights. 😀 If you are not into going overnight outdoors, I suggest you also bring a small portable fan. Bring matches/lighters for a lovely bon fire at night and for you guys to be able to cook your food. We happen to borrow pans from the locals. But there are respective rental fees for each item you fail to bring with you in this island so it would be better if you have brought your own. Biscuits, coffee and all other necessities you can get from their store are double priced. Hihi. But if you do not plan on staying over night, I advise you leave while the sun isn’t totally down yet and the sea is still calm. Better stay safe and prepare for the worse. The cove is complimented by the surrounding mountain rocks making it a perfect view especially when the sunset is giving-off an orange glow that reflects to the mountain curves. We tried to climb rocks on our bare foot, which, of course, wasn’t a good idea. Haha! But we enjoyed the mini treck. Swimming and buying the sun were given activities and were definitely rewarding. 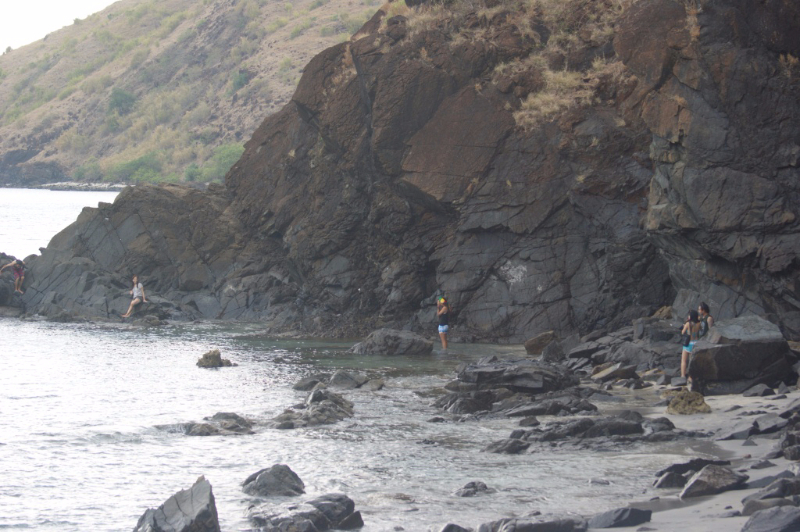 There’s no better place to get fulfilling sunburns than from a hidden island. 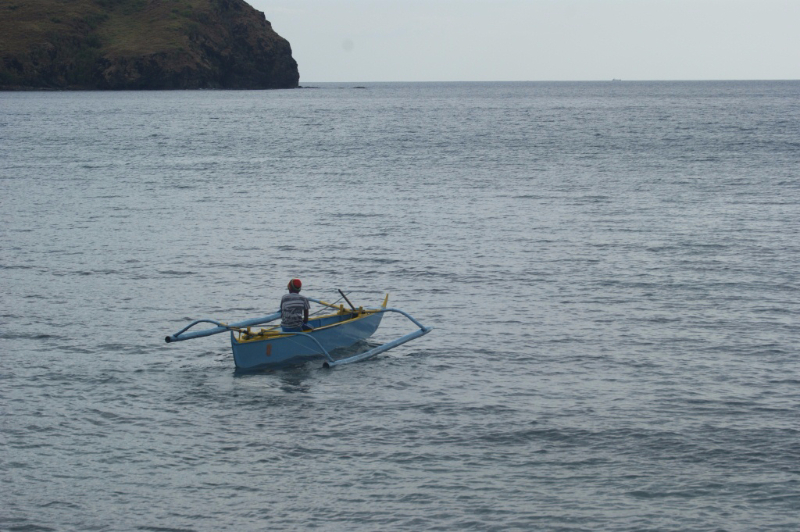 Our tour includes island hopping too. I just forgot the names of the 2 other islands we visited. Ahaha! But we got to swim at the middle of the ocean! With different types of fish! 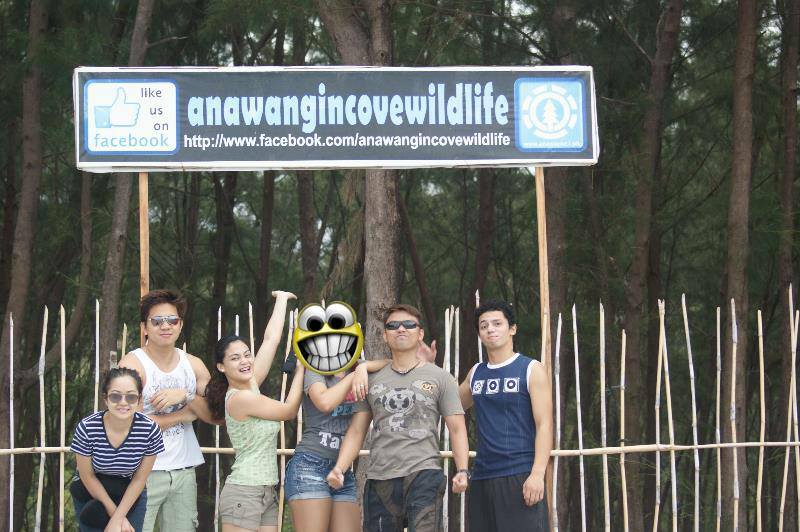 One night on Anawangin is good enough to experience something far from the usual nature activity. I don’t think I could have lasted another night. Ahaha! But the restrooms were clean though. There are memories in life that are worth remembering. The once that aren’t are still memories and you have no choice but to keep them. Collect more memories so when time comes that you can no longer, all you have to do is sit down and smile remembering the good times when you were still able to go out for a trip and an adventure.